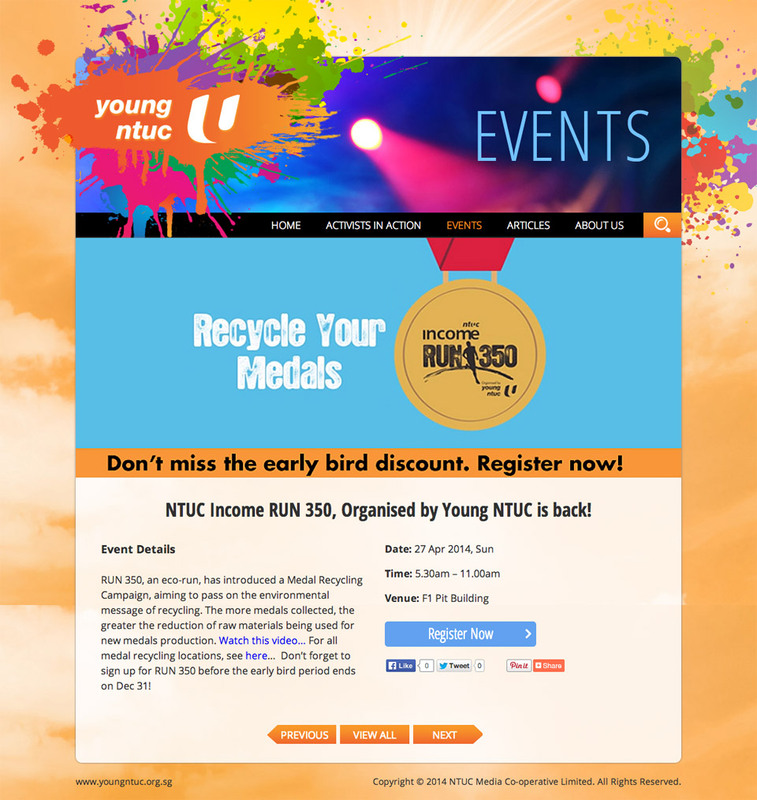 The Young NTUC community requires a microsite, to feature 8 young and inspirational activists on a monthly basis. 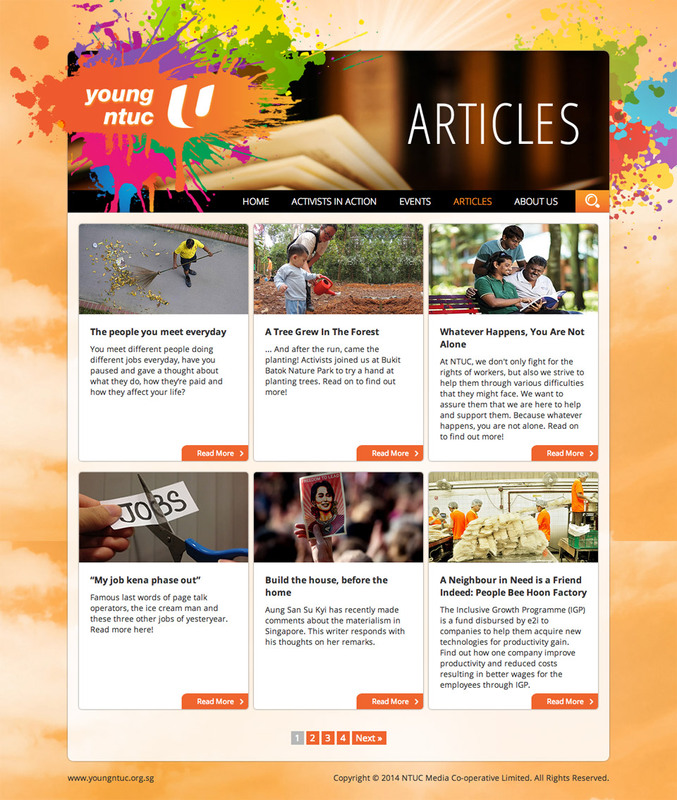 The main community website is too cluttered with miscellaneous information regarding the union, and does not have a well designed platform to feature the ongoing events and new editorial articles. 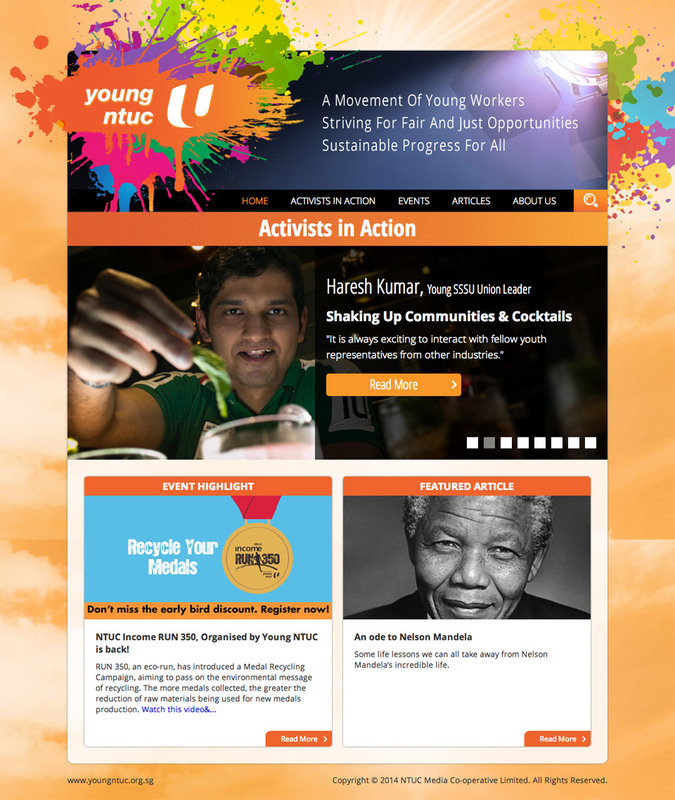 We designed a microsite as an extension to the main community website, giving prominent spotlight to the featured activists, as well as organized columns for featured events and articles. 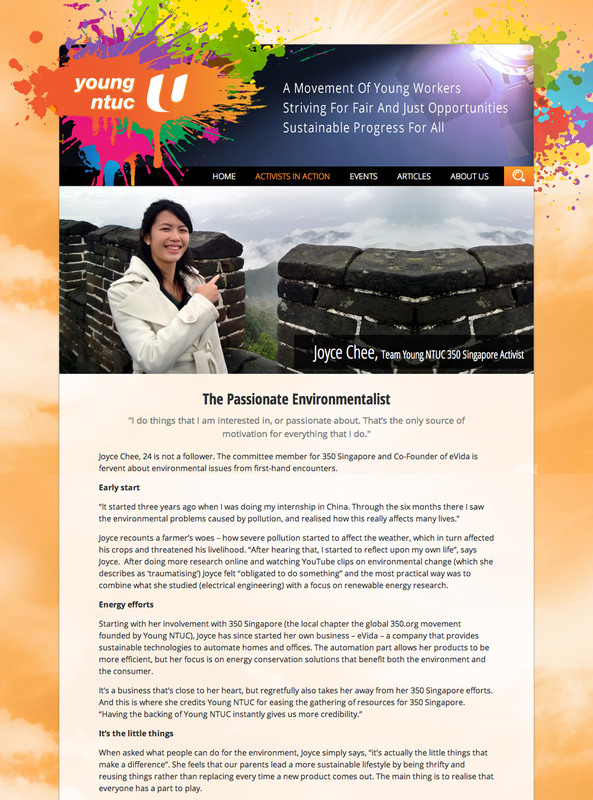 On top of that, we designed and created the template for the EDMs to assist in their bi-weekly online marketing efforts. The client has a user-friendly editorial backend, and a youthful and vibrant new website for its intended target audience. News and articles can now be easily created and edited on time for each release. Readership has increased by more than 200% and has attracted more activists to come forward to share their stories.